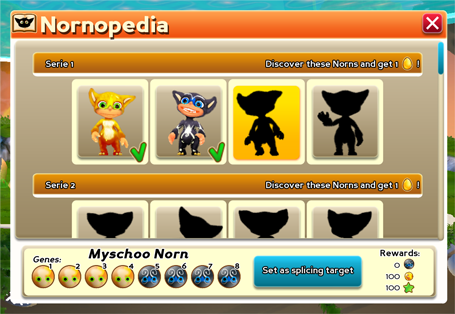 We also worked on the appearance of the Norn collection screen. Now it is only one page with a slider (instead of the more rigid “multiple fixed pages” we had before), and Norns are organized by “series”. It doesn’t really change a lot of things functionally-wise, but we feel it to be more convenient and better-looking. That’s all for today! Have a nice week!